Mark Twain, you were so wise! 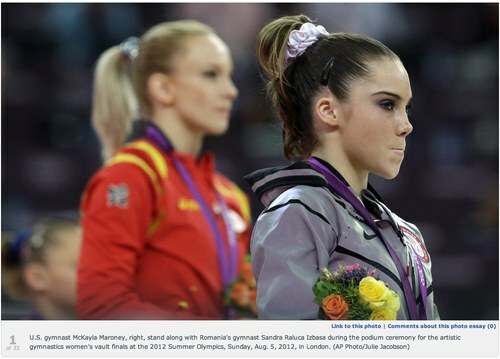 You’re right that this moment wasn’t her best, but she’s 17 or something and seemed likely to get the gold. It’s amazing to me how well the young athletes do under the crazy pressure. This wasn’t as bad as the Russian gymnast who pushed her coach. It’s not fair to judge someone by one picture caught in a random moment. I wouldn’t be all smiles myself either. @Dale Not just one photo. Plus she blew off the hug by the Russian gymnast. @visualingual She’s actually only 16. Yes, it’s crazy pressure and they’ve dedicated hours and hours of training for this moment, but right or wrong, our expectations for Olympians is graciousness in victory and defeat.